Thank you to the 57 people who attended our volunteer event at the Cleveland Foodbank! 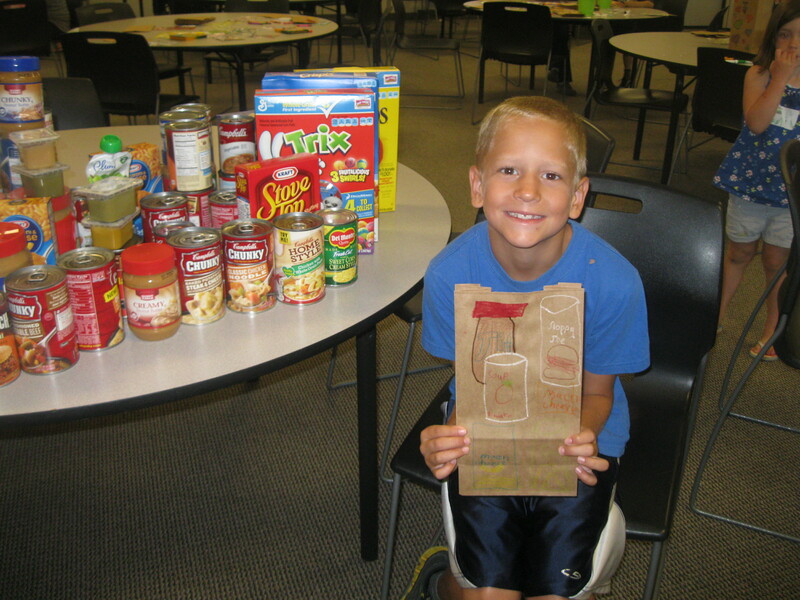 Caring Cubs families donated 101 pounds of food and decorated 229 brown bags! 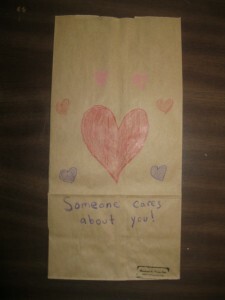 The bags will be used by the Foodbank to distribute food in. 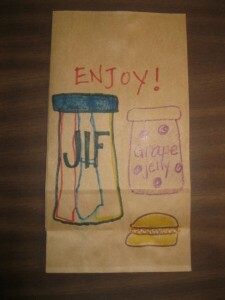 As the pictures demonstrate, our “cubs” were very thoughtful and creative artists. We were also able to take tours of the facility and learn more about the services that the Cleveland Foodbank provides. 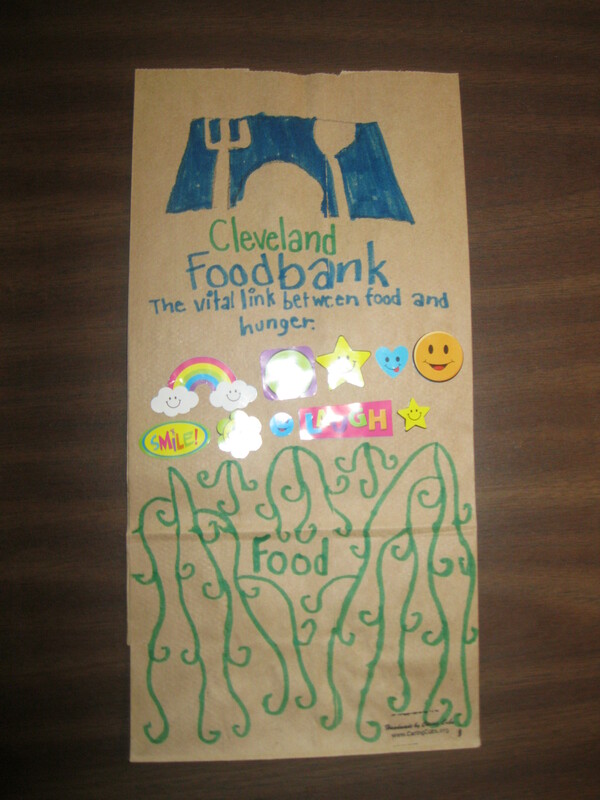 The Cleveland Foodbank partners with more than 600 agencies that serve the needy and supply a majority of the food used in local hot meal sites, shelters, and food pantries. They also provide food to child care centers, group homes, and programs for the elderly. 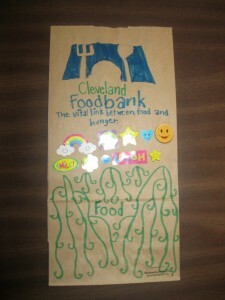 Visit www.clevelandfoodbank.org to learn more! Caring Cubs purchased the supplies for this event as part of a generous grant from the Ronald McDonald House Charities of Northeastern Ohio. More pictures of the event are on the Caring Cubs Facebook page! 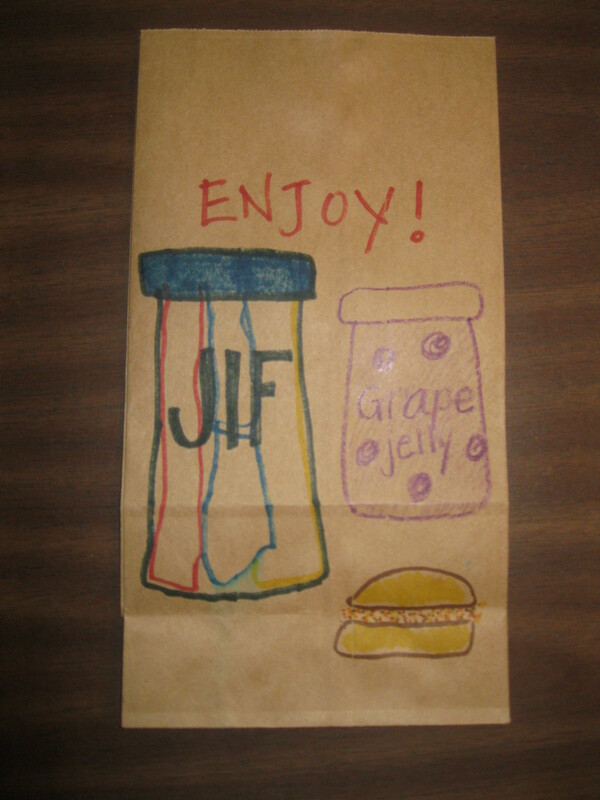 This entry was written by Kelly, posted on July 19, 2013 at 1:43 pm, filed under Miscellaneous. Bookmark the permalink. Follow any comments here with the RSS feed for this post. Post a comment or leave a trackback: Trackback URL.